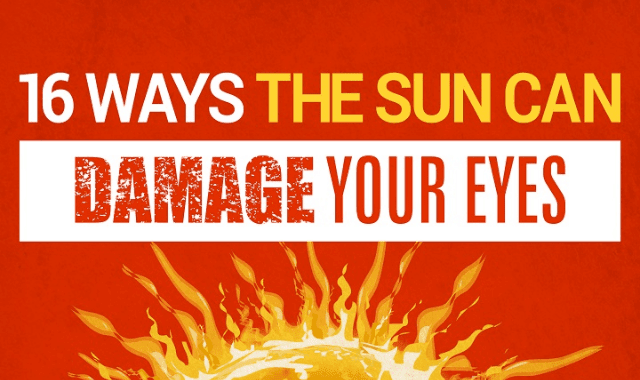 16 Ways The Sun Can Damage Your Eyes #Infographic ~ Visualistan '+g+"
We’re all aware of the damage the sun can do to our skin and are bombarded with messages on sun safety, covering up and applying a high-factor sun cream. But are we aware of just how much damage the sun’s rays can do to the eyes? From painful sunburn to the development of serious eye cancers, sunlight can have a serious effect on our eye health. We’ve explored the potential risks the sun presents to the eyes and the steps we can take to protect ourselves.